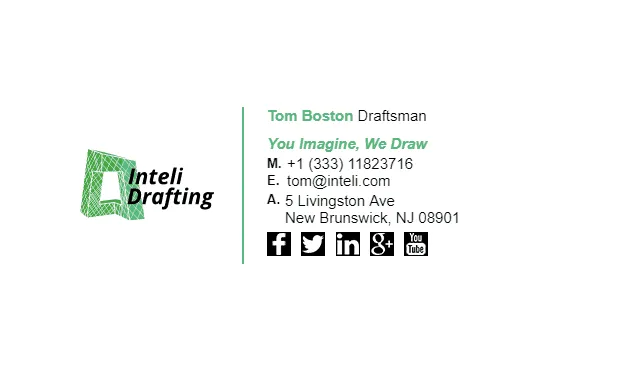 Draftsmen are often creating technical drawings for machinery or buildings. 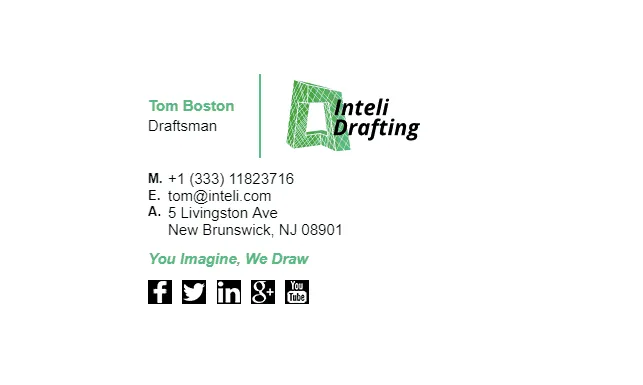 They will generally email quite a lot to exchange ideas between colleagues and get technical instructions for drawings. 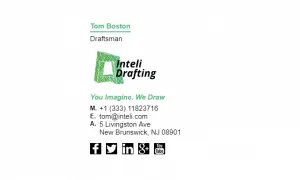 Like other professions, an email signature is essential for a draftsman as it can show that they are qualified for the job. It is a good idea to include examples of past projects that your clients can look through to feel more comfortable. 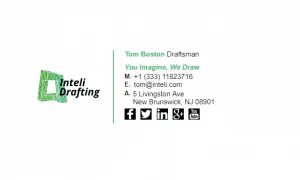 We have some draftsmen email signature examples below. 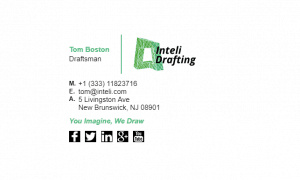 What Should Be Included in a Draftsmen Email Signature? Full Name - You should use your full name, including your middle name. Don't use nicknames. Position - The position/title you hold at your company. Company - The name of your company. Qualifications (optional) - Any qualifications you may have, such as BSc, BEng, CPA etc. Adding qualifications to your email signature increases your credibility. Company Logo or Photo of Yourself - Make sure the company logo or your photo is good quality and not blurry. You should also ensure the images are compressed. Phone Numbers - Include your mobile/cell as well as your landline number. Use a click-to-call link for all phone numbers. Office Address - Include your office address, or multiple addresses if you have branches. Add a Google Maps link for your address. 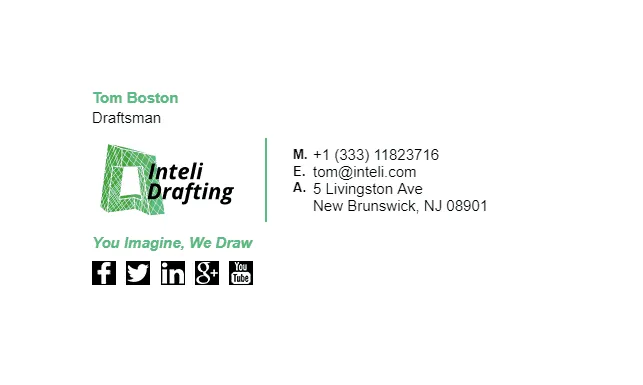 Website - If you have a website, including it in your email signature is a must! 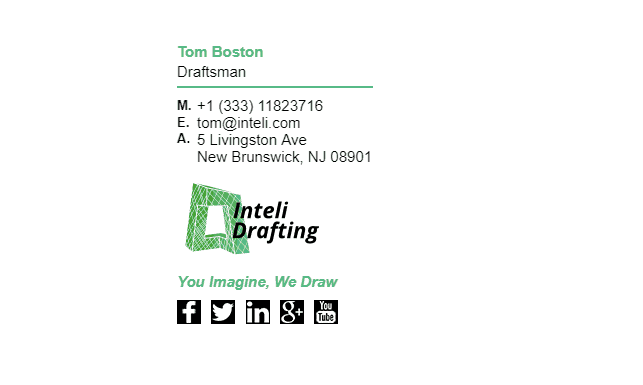 Add a hyperlink to it for easy access. 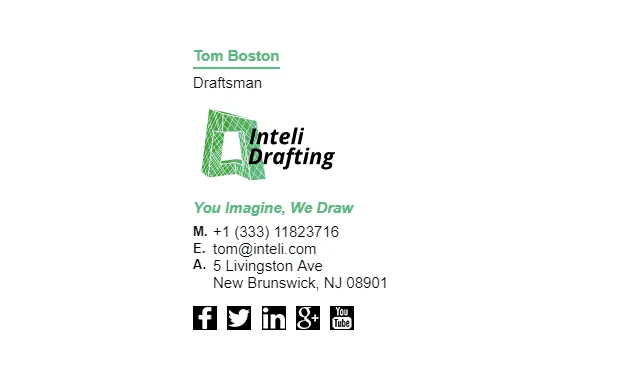 Email Address (optional) - You should include your email address. However, this is optional as your email address is already available to the recipient if you are sending them an email. Social Media Icons (optional) - Linking to your social pages such as Facebook, LinkedIn, Twitter. Banner (optional) - This is the perfect opportunity to insert a banner and let your recipients know about an event or function you're having. Disclaimer (optional) - Disclaimers are almost never legally binding or enforceable. However, some companies still prefer to use them since they set a "standard" for the fair use of emails. 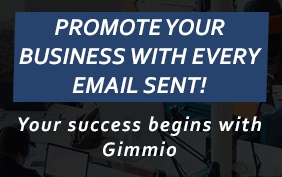 Be the first to get notified of the newest FREE resources, the latest news and exclusive promotions conveniently in your inbox!